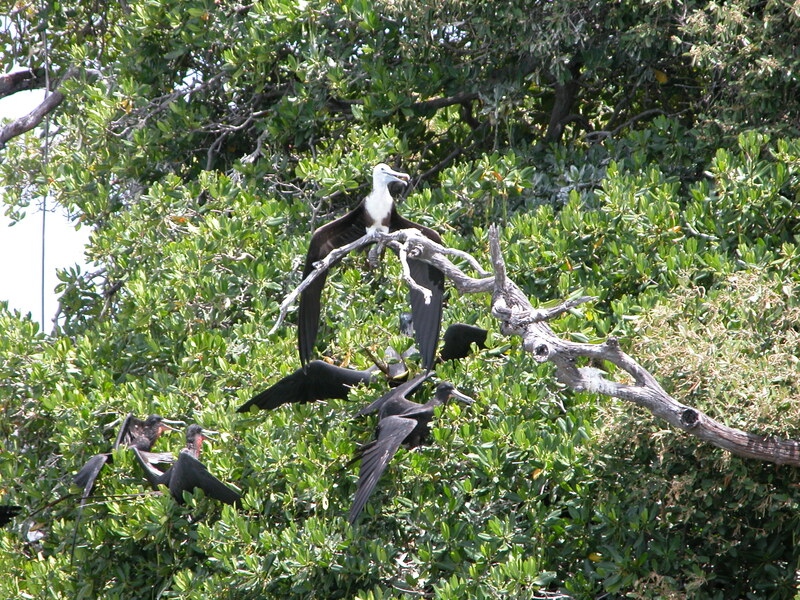 ‘Makuaku’ (Frigate birds) are seabirds also known as ‘Man of War’ or Pirate birds. 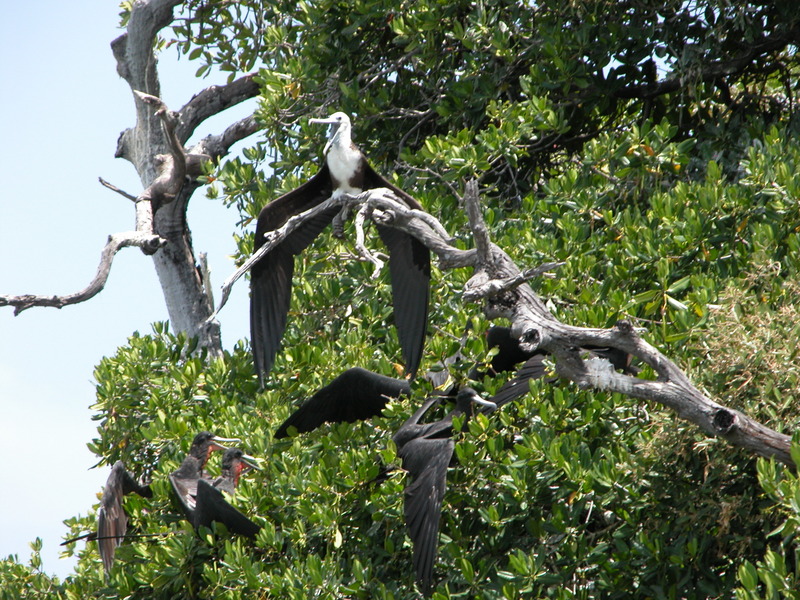 They have long wings, deeply forked tails and hooked bills. 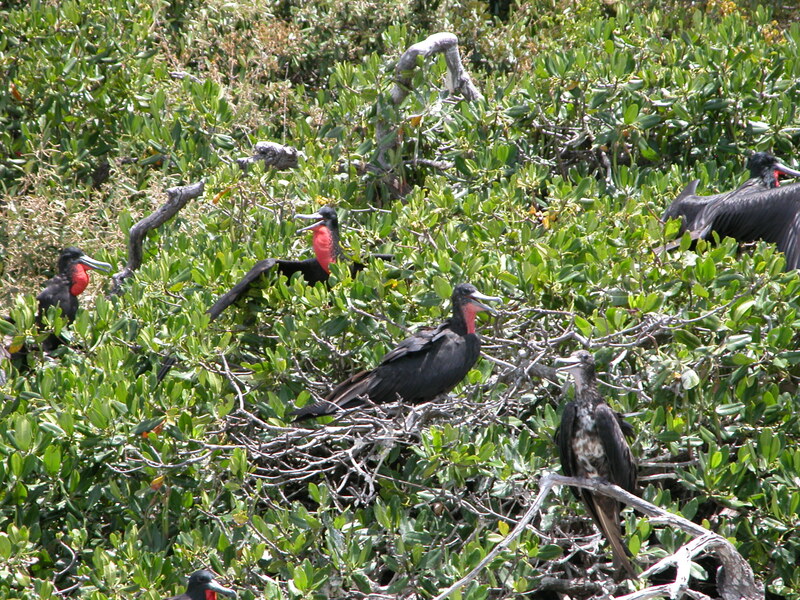 Male Makuakus are pitch black, except for their bright red throat pouch, that swells up in October to signal mating (season)… Female Makuakus are far more subdued with their feathered white breasts, resembling a tuxedo. ALL PHOTOS BY YVETTE BRANDT-LESIRE. Na rand di laman mi ta warda e boto di piskadó pasa. ta laga, e kai kai di piská ku ta kai patras di nan boto! haltu den laira nos ta bula trankilo, barika jen. 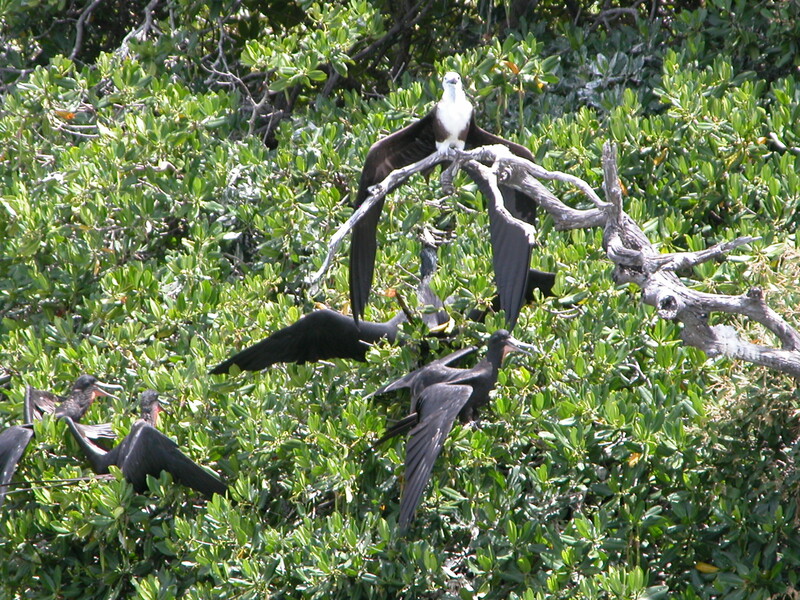 pa pasa nochi riba nos Isla di Makuaku, den bahía di St. Joris. waiting for the fishermen to pass by. fallen fish intestines that float behind their boats! 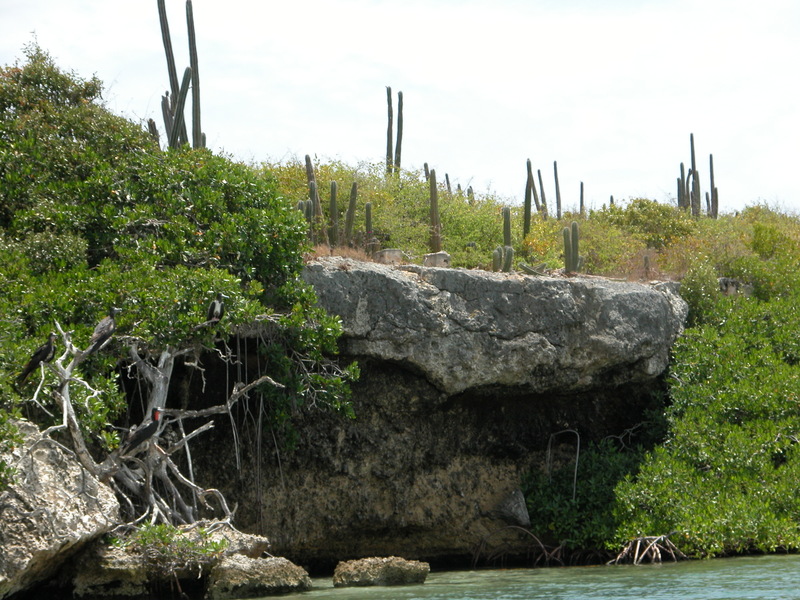 back to our Makuaku Island, in the bosom of Saint Joris.